CSX train Q24912 climbs up the east slope of the famous Sand Patch grade. 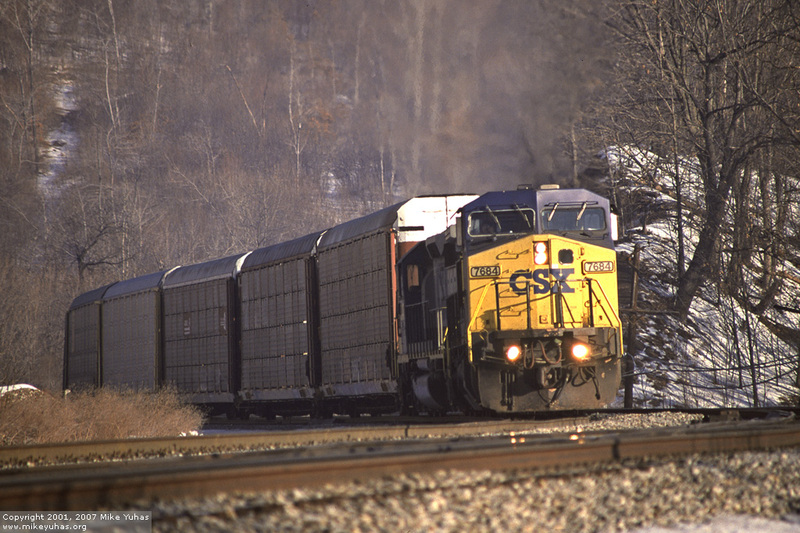 Having spent many a day in the late 1980s shooting along the famous Sand Patch grade on CSX's former B&O mainline, it was good to be back on familiar ground in early 2001. Just as Mark Hemphill was my tour guide through Utah, I was privileged to host Kevin Keefe on his first up-close visit to Sand Patch. C40-8W 7684 led train Q24912 toward Manila interlocking and the summit of the Alleghenies.